At the outset I thank the Department of Wild Life Conservation for compiling and publishing a policy statement on the captioned subject requesting public views. Apparently, policy statements 1 to 4 reveal a short and medium term strategy to deal with several issues covering conservation and management of wild elephants. Policy statement- 5 appears to be aiming at a long term strategy to be achieved through scientific research priorities. Obviously, we should prioritise the two most critical and elusive issues of Human Elephant Conflict (HEC) and Elephant Conservation (EC). In my view, the road map should inter-alia focus on the following home truths and remedial action. 1) Sri Lanka being a small island, its habitat for human beings, fauna and flora is very limited. 2) Moreover, the ever growing populations of Humans and Elephants who occupy this small land, together consume its limited food and environmental resources, making HEC a perennially growing problem. 3) Since EC is also of crucial importance, a delicate equilibrium has to be struck between Humans and Elephants. 4) For this purpose, the research priority would be to ascertain the present area-wise, elephant population (Both tame and wild) and thereafter determine the country’s optimum area-wise carrying capacity of elephants mainly in relation to Food consumption and growing Human population. Factors such as clearing of jungles for increasing human habitat and food cultivation including reforestation have to be reckoned. This research finding should lead to the determination of the optimum number of elephants required for country’s EC considering their population growth and mortality rates. 5) In the event of elephant population exceeding this constant, the excess number should be exported to needy countries thereby helping to solve our country’s debt repayment problems in the long run. I am confident that the above mentioned strategy can lead to solving the problems of HEC and EC in the long term. The real wealth of the nation is its people. While other organisations have based their success on better manufacturing techniques, technology, Microsoft’s success relied in the effectiveness of their employees. A few firms which might help you find your choice of effort as exceptional staffing include Oasis outstanding Inc., pay source USAInc. There are a handful of home business cases wherein the obligations of the HR department are available in contrast with each other. Another protected classification includes some status. They need to broaden their skill sets so that they can sit at the executive table and understand the maximum to analyse the behaviour of rival companies. The problems may not be necessarily original. The resource personnel may require solving issues such as personal disputes among employees and sort out matters such as sexual harassment. The main goal of these firms is to supply competent and skilled professional to other firms through staff or employees leasing an HR professional. You will really rise up the corporate ladder if the performance is great enough. HR is constantly changing. The job also includes talking to practice managers regarding employee turnover, absenteeism, and actions in work settings, employee motivation and recognition, along with other employee – related aspects. 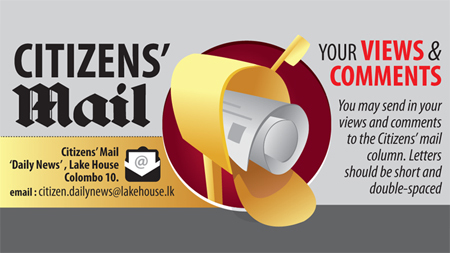 What’s wrong with Katunayake Airport? We are very unhappy with the management of the Sri Lanka Airport at Katunayake as it grossly lacks common sense management. We opted to take the direct flight from Colombo to Melbourne by SriLankan Airline on January 27 and arrived at KIA for flight at 8.30 p.m. There was a queue about a 600 m long and we waited two hours in the queue as the counter was unstaffed. After two hours a new counter was opened elsewhere and the customers scrambled to it and to stay for one and half hours. The immigration queue was the next step and the queue there took nearly 45 minutes. We decided that this is our last trip to your country and we are going to tell all our friends to avoid the Katunayake Airport.